WordPress security plugin is use to protect wordpress website from hackers. In 2012 more than 115,000 wordpress website have been hacked. So choosing the correct security for your site is very important. There are a lot of plugins that offers protection and malware scanner in wordpress. We hand picked the most reliable base on our own experience. In choosing plugin it is important that it compatible with your version of wordpress. It doesn’t necessarily need to be popular and mark it as the best. Look for the feedback of the users that already tried the plugin and base your decision from there. How Do Hackers Enters A WordPress Website? They exploit the venerability of the hosting provider, template and the plugin. In 2012 when the most number of hacked website was recorded. 41% was due to hosting venerability, 29% because of template exploit and 21% because of plugins. So if you are already managing a wordpress website be sure to update all the plugins and your template when ever there’s an update available. What Hackers Do When They Enter Your Site? Hackers usually break into sites and put malicious code in your template. It will make your site slow and you will lose traffic because they would probably redirect your traffic to their own site. It will make your site slow because they would probably put a crypto miner in your template’s code. He will make another administrator account so he can login and change your wordpress source code as much as he wants and make redirects in htaccess files. Wordfence is a great security and anti malware for wordpress. It can protect your site even with the free version. It has a malawre scanner you can do schedule scans. Automatic IP blocking and manual IP blocking. You can see real time traffic and what links are being access by your visitors. If your visitors is accessing the wp-admin.php you can ban them at once. 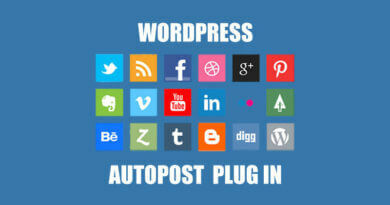 In order to use this plugin you only need to activate it and it protect your site. Shield Security for WordPress is also a great wordpress security that offers complete protection even in free version. You can lock your site and place a password so even if a hacker get access to your site he can’t change anything unless he has the password of Shield. It also has a brute force protection and a GASH for bots. You can replace your wp-admin.php with another link that you want. 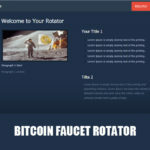 For example yoursite/wp-admin.php you can change the last letter and make yoursite/youchoose. So no matter how many times a bot look for wp-admin.php it will not open. It can add captcha to the login form. It also has a limit login and ban users who tries to login and failed. You decide how many times a user can try to login. before he get ban and how long will the ban last. You need to configure this plugin, after activation you need to put the configuration you want. Cerver Security & Anti-Spam is a wordpress security plugin that works very fine when it is partnered with wordfence. It adds captcha to the login form and can change the wp=admin.php. It also has a spam protection. iThemes is another wordpress security plugin like wordfence. You can tweak your login link and protect your site from both locally and in network brute force attack. If you theme has been change it will notify through email. You can also ban users and create a database backup. Securi is a wordpress security plugin that can check the integrity of your wordpress website. Failed login’s and detected changes in the wordpress files are sent to the admin’s email address for notification. If a some codes are added or change a unix diff utility will show the change codes in red. It also has a firewall and the setting depends on the site owners preference. These are the most effective security in wordpress now. If your still undecided what to choose do a little research and look at the users response and the plugin’s ratings. You don’t need to install all of them just pick one and your site will be secured. Always keep in mind better safe than sorry.